Natco Pharma announced on Friday that it has initiated work on green-field manufacturing facilities for producing niche agrichemical products in Nellore district of Andhra Pradesh. 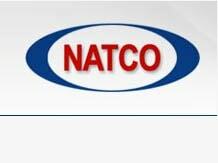 The decision marks Natco's entry into agrichemical manufacturing, a new area of business for an Indian pharma player. The company said it expects to commission these new agrichem manufacturing facilities by the end of 2019 with a total capital expenditure of Rs 100 crore. "Natco strongly believes that its pharma strength in chemistry coupled with an acumen towards selection of niche molecules would differentiate itself in the agrichemical space as well," the company informed the stock exchanges. It will manufacture both agrichemical technical and formulations products, according to the company. A strong domestic player in generic oncology product portfolio, the company has recently diversified its formulations business by entering into new therapeutic areas. Earlier the company had stated that it would focus more on niche, difficult to make generic pharma products as part of its future growth strategy. "As we would like to diversify into new business areas, agrichemicals comes as a natural choice given our existing strength in the science of chemistry. If you look at big global names including Bayer and Novartis, till 90's they were all doing both the plant protection and pharmaceuticals manufacturing, leveraging their core chemistry strength," Natco Pharma Limited vice chairman and chief executive officer Rajiv Nannapaneni told Business Standard. Nannapaneni, however, declined to share the road map being drawn for the agrichemicals business, and details as to whether the company would be targeting only the domestic market or focus on both the domestic as well as exports market, possible international tie-ups etc. The company is expected to launch commercial operations of the agrichemicals business during the year 2020-21. The company, which had achieved Rs 2,242 crore revenues in 2017-18, pursued successful strategies like marketing tie-ups and collaborations with global generic players like Mylan that helped launch certain high value products in the US market ahead of its bigger peers besides growing its formulations business at a faster pace in the past few years. However, the company's intended focus on complex generics in pharma sector and its pursuit for diversification into areas outside the pharma business points to a rather increasingly challenging generics business space owing to intense competition and lower margins, according to industry analysts. The Indian market for agrichemicals(pesticides and herbicides) is expected to grow to around Rs 30,000 crore by 2023, according to report published by Business Wire, a Berkshire Hathaway company.